Since its founding, Parmigiani Fleurier has conceived, designed and manufactured 15 movements entirely in-house and currently produces 5,000 timepieces annually. Parmigiani Fleurier is divided into four core collections: Tonda features a round case shape; Kalpa features a tonneau case; Pershing is the diving watch collection inspired by the luxury yacht producer; and Toric are the chiming watches that house minute repeaters. 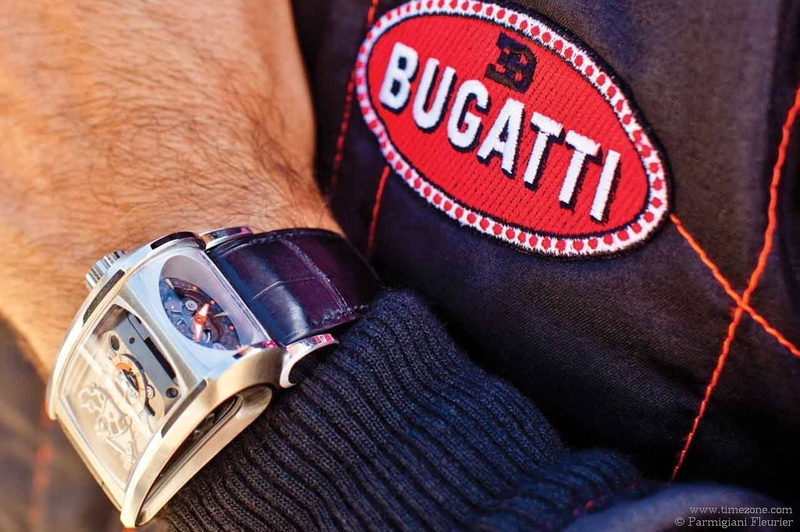 Since 2004, Parmigiani Fleurier has also partnered with Bugatti in developing an special Bugatti collection inspired by the legendary automobile manufacturer. The Tonda 1950 Special Editon celebrates Michel Parmigiani’s birth year. The Tonda 1950 Special Edition reinterprets Parmigiani’s round case with an extra-flat profile, the signature droplet-shaped lugs and a dial that is a combination of concentric and vertical grilles. The Tonda 1950 Special Edition features a 39 mm titanium case that houses the in-house Calibre PF 701 extra-flat movement that measures just 2.6 mm in thickness. Limited edition of 60 pieces. The Tonda Quator retrograde annual calendar. At the top of the dial, the days of the month are displayed in a retrograde style with the date indicated by a red-tipped hand. The subdial at 3 o’clock indicates the month. 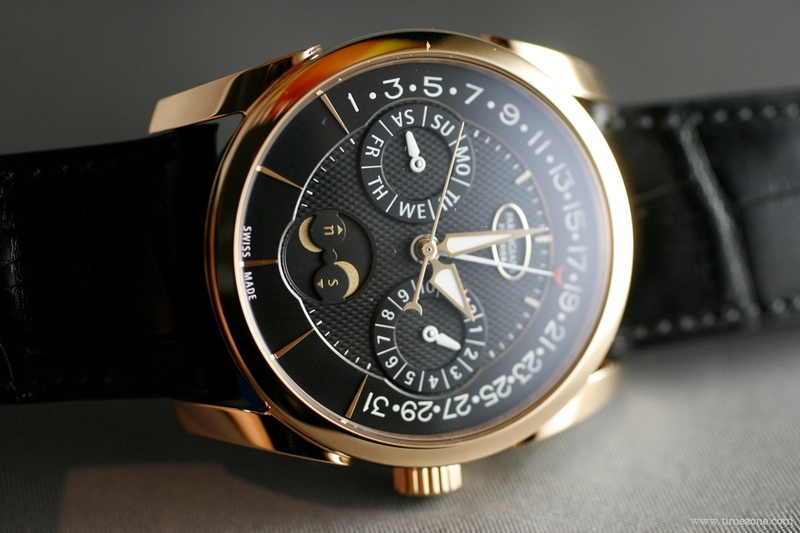 The subsidiary dial at 6 o’clock is a moon phase indication that simultaneously shows the moon phases in both Northern and Southern hemispheres. The moon phase is accurate to a one day variation in 122 days. 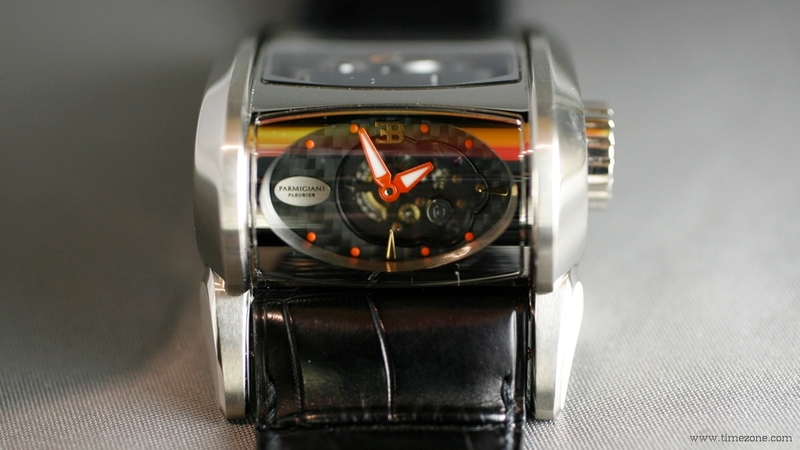 The subdial at 9 o’clock indicates the day of the week. 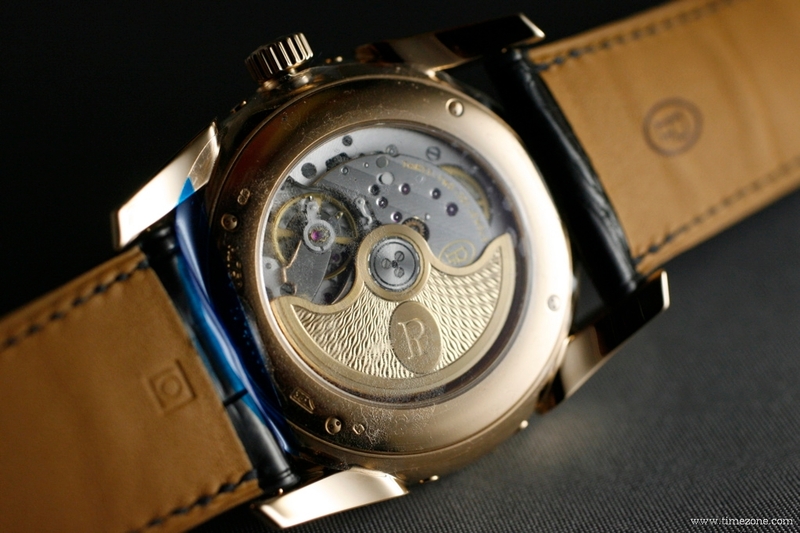 The 40 mm 18-carat gold case houses the Calibre PF 339 in-house automatic movement. 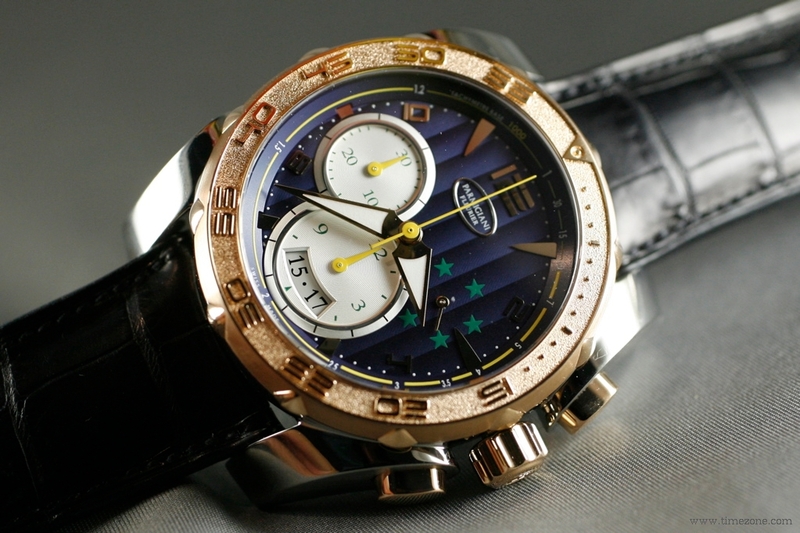 With the addition of a chronograph, the Kalpagraph is Parmigiani’s first sports collection. 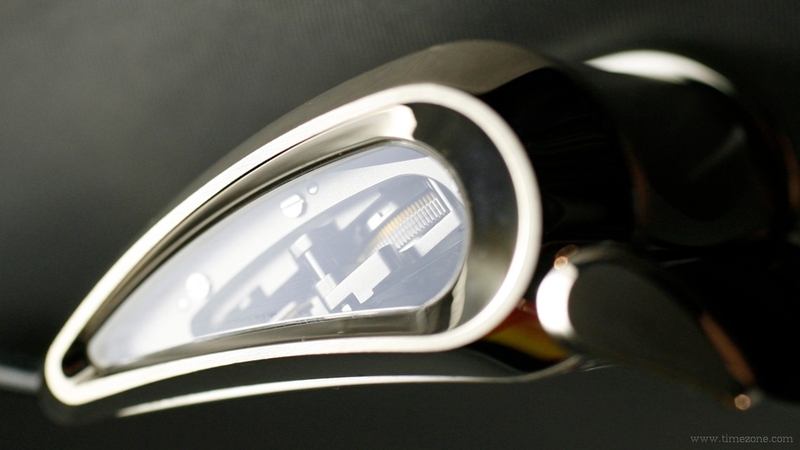 The watch is casually elegant and fitted with the Calibre PF 334 in-house automatic movement. 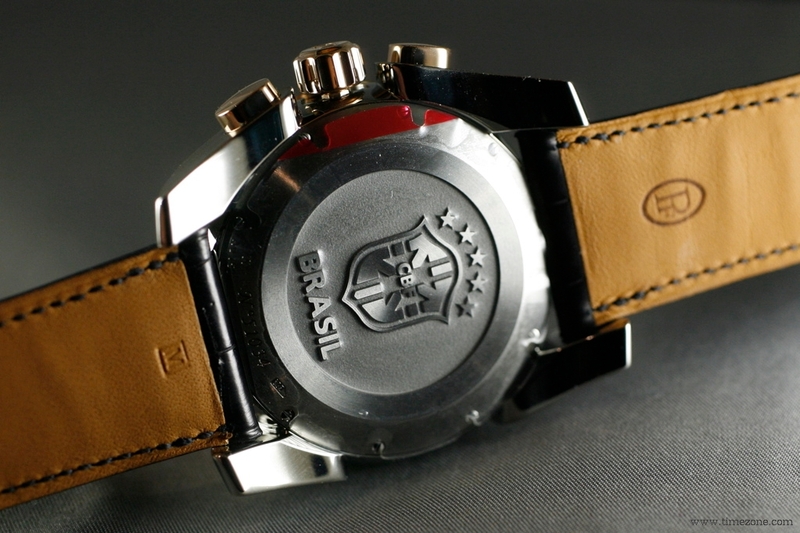 Last year, it was announced that Parmigiani became the official watchmaker of the Confederação Brasileira de Futebol (CBF). 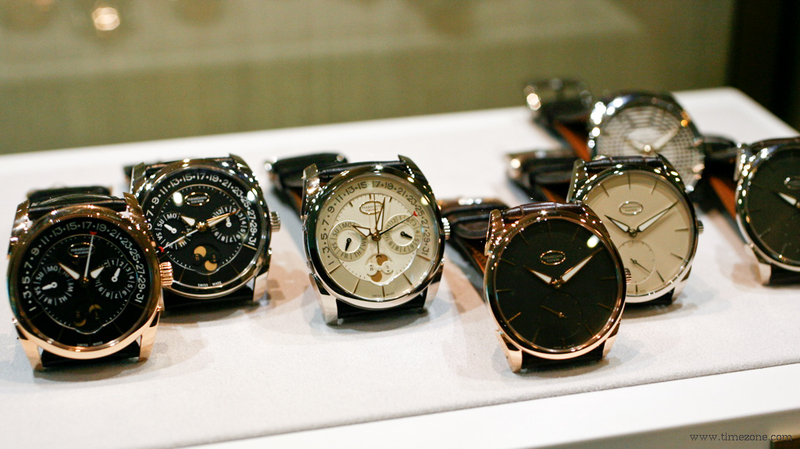 To commemorate the occasion, Parmigiani has created a unique collection of Pershing models. 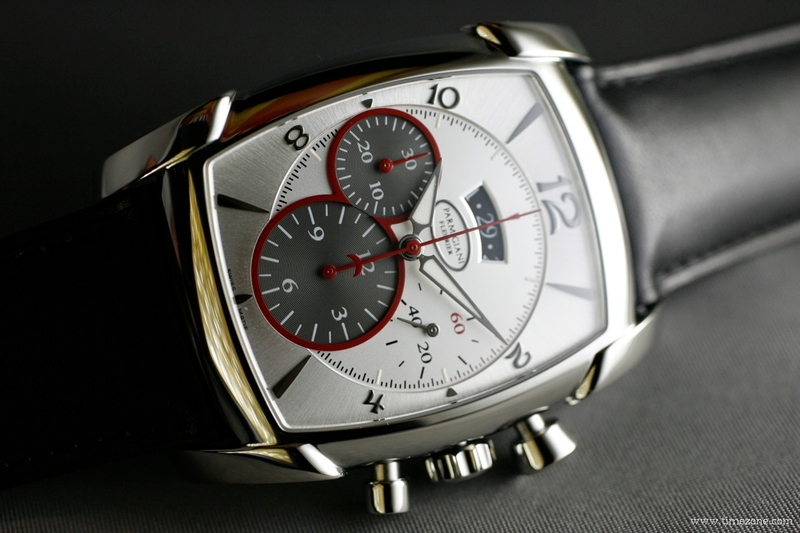 The Pershing Chronograph 005 CBF features a 45 mm titanium and rose gold case. The dial is a nod to the national colours, including the Côtes de Genève blue dial, yellow hands and green stars mark the elapsed seconds. The case back is engraved with the CBF logo. The Toric Westminster Grande Date Indigo features a hand-guilloché indigo blue enamel dial with 18-carat white gold indices. 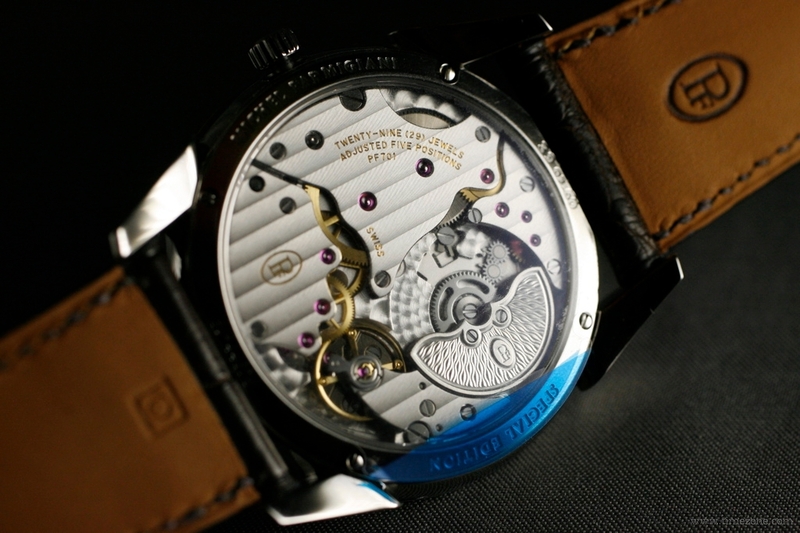 The tourbillon and four hammers on four gongs are visible through the dial apertures. The 42 mm platinum case houses an in-house Calibre PF 256 manual-winding movement that sounds the hours, quarter-hours and minutes with four cathedral gongs in the Westminster melody. 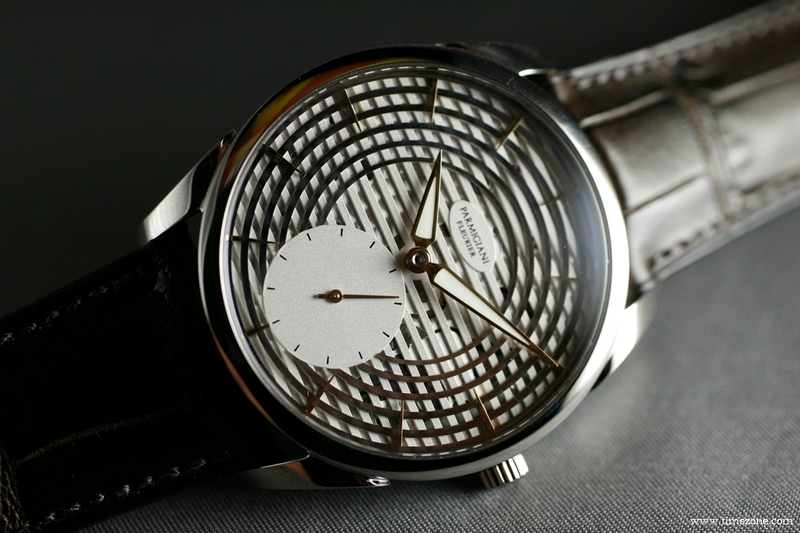 The timepiece is fitted with an Hermès alligator strap. Piece unique. The Bugatti Super Sport is the second addition to the Bugatti collection and follows the audacious Bugatti Type 370. 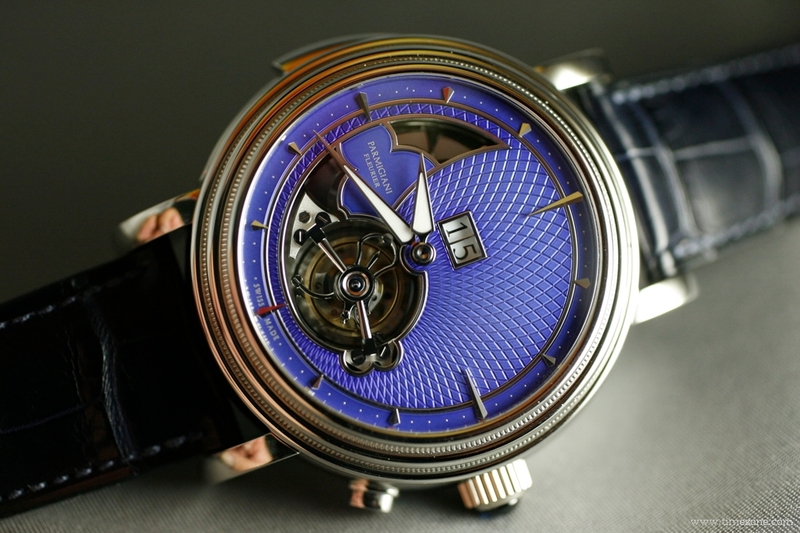 In 2004, Michel Parmigiani completely reimagined the watch movement by placing the Type 370 movement on a transverse axis, just like a race car engine block. A pillar assembly connected the calibre’s five plates and the train wheels were cut into the shape of a car wheel. 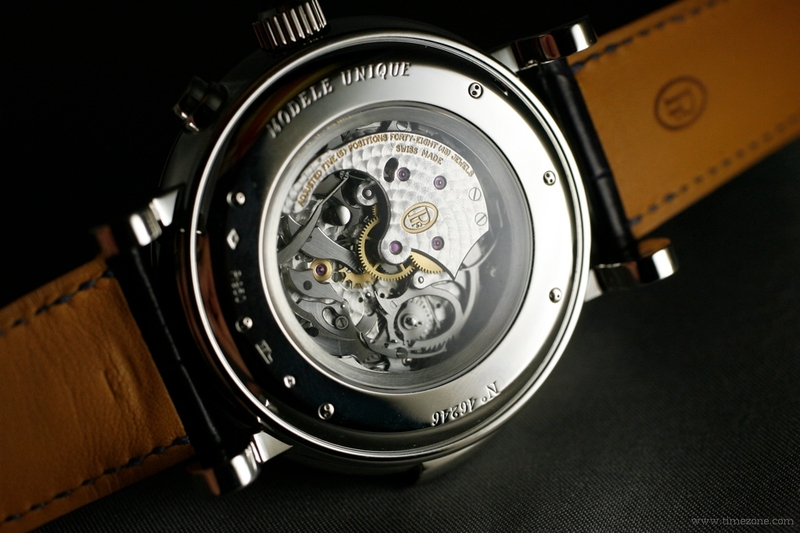 In 2010, Parmigiani flipped all the mechanical components of the new calibre Bugatti PF 372 onto a vertical axis, retaining the lateral time display of a drivers watch. 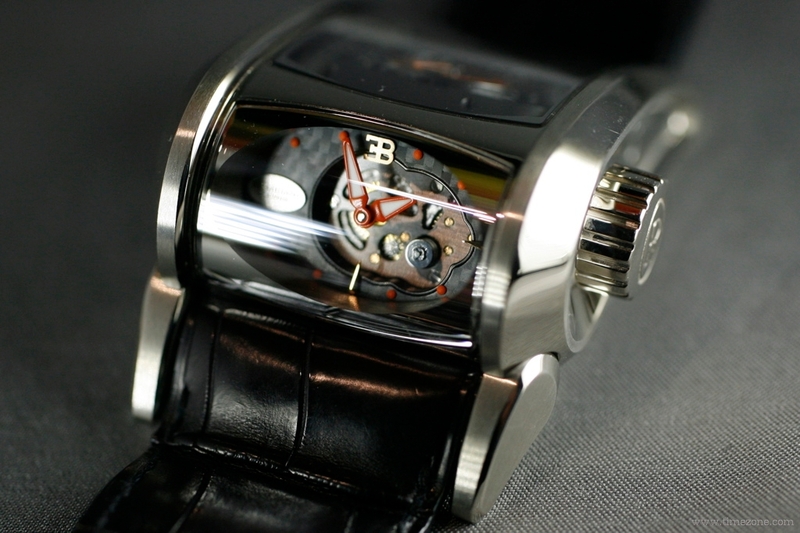 The 6-sided case was redesigned with six sapphire crystal windows to see the entire watch mechanism and functions. 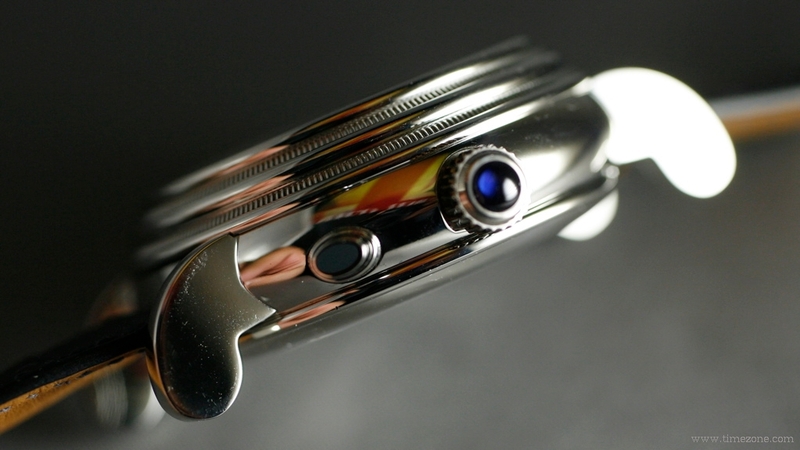 Under the top window is the 10-day power reserve indicator.